According to reports from PCT 4, on April 8, 2019, a deputy with Constable Mark Herman's Office conducted a traffic stop in the 3800 block of Liles Lane. 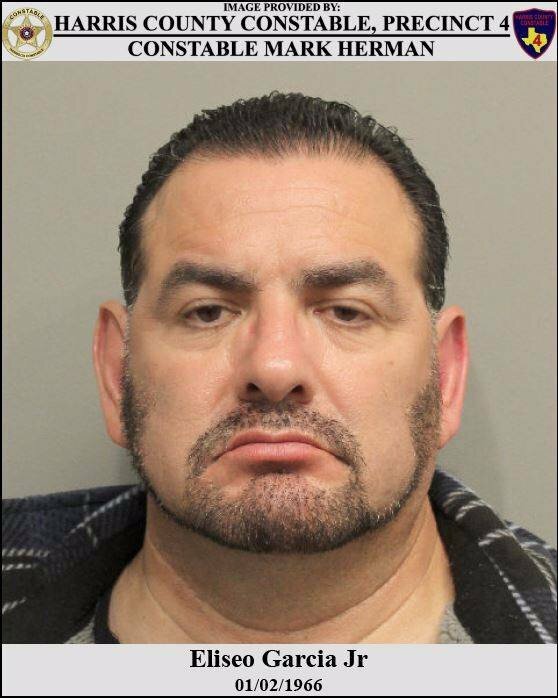 The driver was identified as Eliseo Garcia (53, Atascocita), who displayed several signs of intoxication. Standardized Field Sobriety Tests were administered and it was discovered that he was Driving While Intoxicated. Further investigation revealed that his alcohol content was over twice the legal limit. Before anyone talks about the wall, this guy is an american citizen. bye. They need to make all DWI guilty verdicts climb over wall & stay away from America! $100 bond! Please tell me this is a misprint! @soccer and @eddyfree: you guys need to wake-up RocketsHouston so that you're hitting on all cylinders!! @AtascocitaDotCom : Make me sick. Having been the victim of a drunk driver many years ago. This is just sad. Thought we had gotten tougher on them. So he just needs to put up 10% of that - correct? $10.00 WTF!!!! Do you know this guy personally? They need to make all DWI guilty verdicts climb over wall &amp; stay away from America!